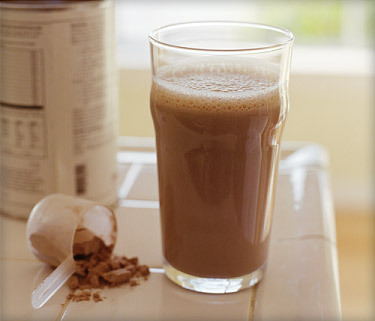 Unknown to many, one of the most effective ways to avoid overeating is to drink whey protein shake regularly. Almost all health professionals and fitness experts agree that exercising is not enough to lose fat, gain muscles and get a better physique. Diet also plays an important part in the entire process which is why overeating can be a huge obstacle for people who are trying to get into shape. Whey protein shake counteracts this problem by acting as an appetite suppressant and a fat burner. Here is how this supplement can help people achieve their ideal body type while preventing and treating overeating problems. In an article that was published by the American Psychological Association, it was determined that binge eating affects 2% of the general population and 8% of people who are medically categorized as obese. Even though 2% might seem like a small number, it actually translates to more than 6 million people since the total population of US residents reached 317 million in 2013. In a different article that was published by the University of Massachusetts Lowell, most overeaters have a college or post graduate degree. What are the symptoms of overeating? One of the most common reasons why people fail to notice that they are already guilty of overeating is because they are not aware of the telltale signs and symptoms of the problem. Some of these symptoms include having an uncontrollable urge to eat, body image issues, anxiety problems and constant failure to follow any type of diet regimen. Those who compulsively overeat may also exhibit certain personality disorders such as antisocial, narcissistic and obsessive compulsive behavior while others may not have a personality disorder. How does overeating affect the body? In a study conducted by Professor Boyd Swinburn of the World Health Organization Collaborating Centre for Obesity Prevention, it was revealed that overeating is the predominant cause of obesity in the United States, not lack of exercise or physical activities. The study analyzed national food supply data to determine the amount of calories that average Americans consume and the amount that is actually burned off through different physical activities and exercise. It was then revealed that the weight gained that is being experienced by many Americans is caused by the number of calories that they were ingesting every day. How does whey protein shake solve overeating? Drinking whey protein shake regularly suppresses one’s appetite which in turn solves one of the most common symptoms of overeating which is having the urge to eat. This method of suppressing the appetite is much safer than taking appetite-suppressing medications since whey protein supplies the body with the nutrients that it needs to function optimally. Whey protein supplements also burns calories and fat mass while giving the body the energy that it needs to do rigorous exercise routines and other physically demanding activities.